Well, this looks like a lot of fun and possibly the greatest jewelry movie ever! 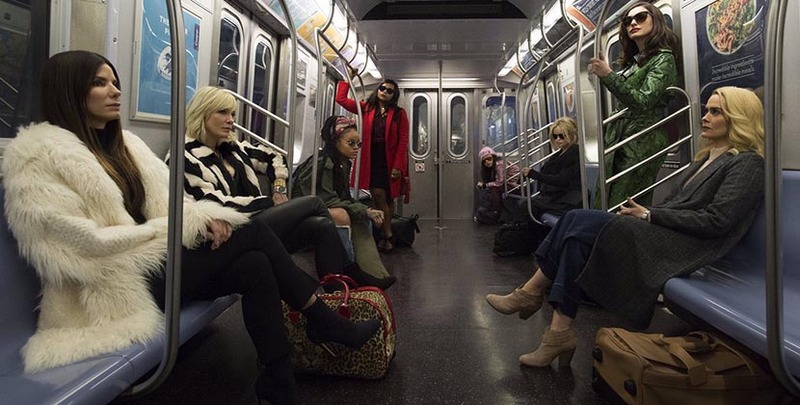 The first trailer for Ocean’s 8 reveals details about the jewelry heist the all-female cast plots at the annual MET Gala. Sandra Bullock is Debbie Ocean and she gathers up her crew of cool thieves including Cate Blanchett, Rihanna, Mindy Kaling, Awkwafina, Helena Bonham Carter, Anne Hathaway and Sarah Paulson. What I know from industry chatter is just about everyone I know on the high end of the jewelry market and some going on down the price scale loaned pieces for the production. Cartier is clearly already got a few hot cameos. Check out the panther in the preview and see what other designs you can identify in the trailer below. The movie hits theaters on June 8, 2018.